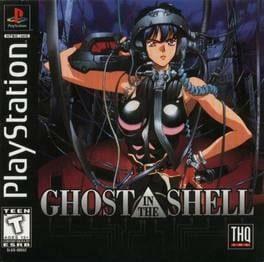 This is a cyberpunk-themed third-person shooter video game developed by Exact and Production I.G for the PlayStation. The game plot revolves around a recruit of Public Security Section 9 as he investigates and combats the Human Liberation Front. The player controls a Fuchikoma, a robotic fighting vehicle capable of traversing walls and ceilings. Ghost in the Shell is available from 8.98 to 9.99 from 1 shops.